The European Tour is known for their ability to produce high quality, viral videos. From the pros attempting to swing like Happy Gilmore to the fantastic Rory vs. The Robot spot from a few months ago, they seem to have a knack for having a little fun with a game that takes itself too seriously far too often, and they’ve done it again this week in Dubai. 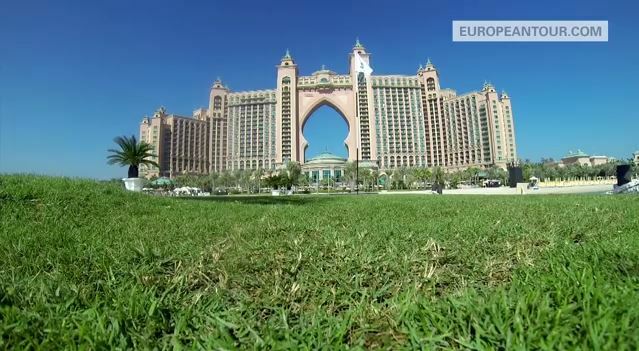 The players are in the UAE for the playing of the final tournament of the European Tour schedule, the DP World Tour Championship, and some of the players had a little fun teeing off from the 22nd floor of the Atlantis Hotel to a green 235 yards away. Nice little cameo at the end from Ian Poulter as well.